At nearly 23,000 ft, Aconcagua is the highest mountain in both the Southern and Western hemispheres. 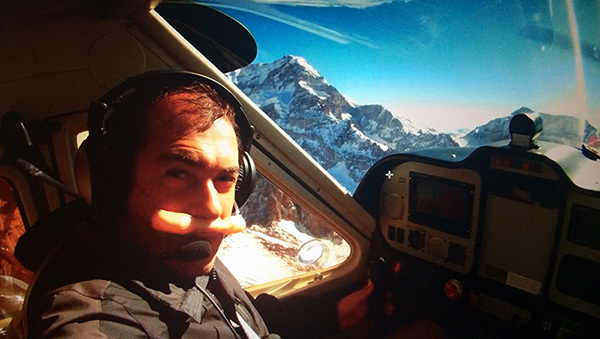 It has been a long held ambition of Mario Cardama, Tecnam’s Argentina based dealer to fly over Mount Aconcagua. On the 24th of May, Mario achieved his lifelong ambition as he powered his Tecnam P92 Tail Dragger up to 22,840 ft and over the summit. Here’s an extract from Mario’s flight commentary. After several months of planning, on the 24th of May conditions were such to make an attempt to fly over the summit of Aconagua possible. 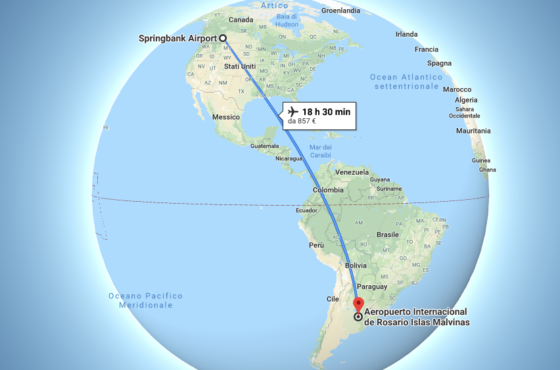 So around noon I took off from RAE- Rivadavia Aerotec- Mendoza airport, Argentina, to heading for San Martin Airport (2100 ft.) to coordinate with friends (Alejo and Cayetano ) who would fly with me towards the Andes mountains to support my radio activity and watch for any developments! At 13:05 we took off westbound climbing to reach the Potrerillos Dam in the Pre-Andes mountain range. We crossed at approx. 8,000 feet and continued to Cordón del Plata, exceeding 10,000 ft here. I then separated from the support aircraft that was accompanying me. Approaching the Uspallata Valley and across 12000 ft I begin to see the imposing Aconcagua in the distance and very high indeed. The Tecnam P92 Tail Dragger was performing perfectly. At these altitudes it’s necessary to use oxygen, so I connected my supply and I then began to monitor my body signs very carefully. 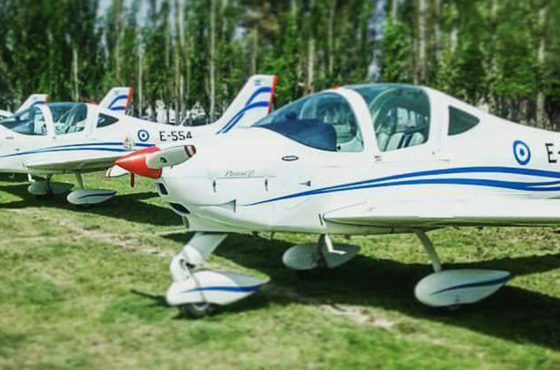 I decided to cross the valley to the north and head in a more direct path to the Aconcagua and the Tecnam P92 continued to behave perfectly. It continue climbing smoothly as I got close to the mountains base at 18,000 ft. An altitude of 18,000 ft however was not enough, I had to proceed to the hardest part… to reach 22840 ft. and the summit. By now I was very cold and 2 of the 3 cameras mounted outside stopped recording. The aircraft cabin was comfortable and there was the satisfaction that I didn’t feel so cold even though after passing the 20,000 the cold had already started to penetrate into my feet but I did not give it much thought. 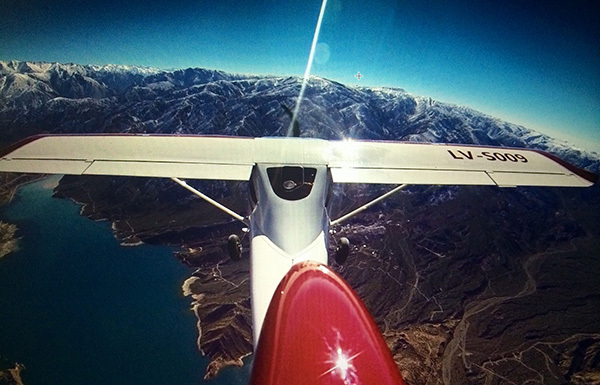 After avoiding some turbulence and making some turns in the area I managed to reach the summit , and the excitement and the desire to record that moment I did not realize it was still rising , this aircraft had not reached its limit. But as the pilot I. knew I was close to my limit. The severe cold and oxygen deprivation was not enough to stop me and I decided to make a few turns around to capture different angles with my camera. I communicated to friends who were down at a much lower altitude, with what to them seemed a strained voice that my mission was accomplished. I was descending through 24,000 ft. / 7340 mts. I ‘m controlling all parameters of the Tecnam P92’s Rotax 914 engine. I increased the RPM’s but did not exceed ‘max’. All aspect of P92’s descent were very smooth. 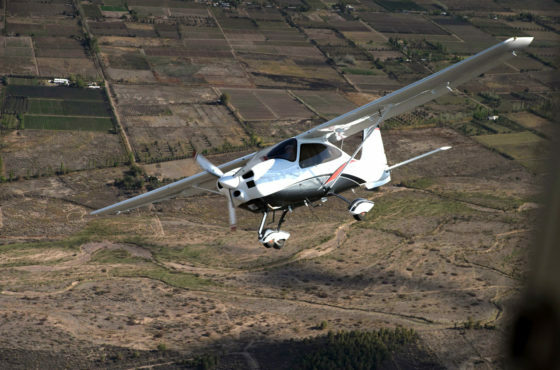 As I descended, I remembered all the people who helped get me here; my family for the support that I always had, my father for infecting my passion for flying and of all Tecnam team back in Capua, Italy. A special mention must be made of Professor Luigi Pascale, who at 91 is still the inspiration for all the great designs at Tecnam and without who my personal mission would not have been possible.